Today, God, I ask that You would teach me to mourn. Don’t let me rush to Easter Sunday too quickly. Give me grace to linger here, in the place where sorrow meets redemption. Make Your death as real to me as Your resurrection. Keep me always near the cross. As I wait at the foot of the cross, God, reveal to me again the costliness of my sin. Don’t let me live in an imaginary world where Easter’s happy ending makes my selfishness irrelevant. Remind me that Your all-consuming grace came at a highest price. Forgive me for the times I’ve lived as if sin is no big deal, as if Good Friday never really happened. Fill me with the joy and sorrow and reverence and gratitude that befit a Good Friday funeral: joy for Your victory, sorrow for Your death, reverence for Your holiness, gratitude for Your grace. Don’t let me settle for just one of those emotions at the expense of the others. Give me a heart big enough to hold them all in tension. Make me bold enough to search after a truth that’s really true, not just a truth that fits easily in the palm of my hand. Give me eyes, God, to see the triumph of the cross. Even when all seems lost, even as I mourn Your death, remind me that You conquered the grave by sneaking inside of it and unraveling it from the inside out. In the midst of defeat and disappointment, sing songs of victory over me. Turn my world on its head so I can recognize the upside-down Kingdom of God at work. Jesus, You tell me to take up my cross and follow You. Today more than ever, I remember what a weighty invitation that is. You won by dying—and it’s only by dying that I can follow in Your footsteps. It’s only by dying that I’ll ever truly come alive. Many people in different countries celebrate the anniversary of Jesus Christ’s crucifixion, and death on the Friday before Easter Sunday. This is an observance that involves people fasting and praying. Many church services are held in the afternoon, usually around noon or midday to 3pm, to remember the hours when Jesus hung on the cross. Many churches also observe the day by re-enacting the procession of the cross as in the ritual of the Stations of the Cross, which depicts the final hours of Jesus’ life. Processions are held in many countries such as India, Italy, Malta, the Philippines, and Spain. There are many theories as to why the day that remembers Jesus’ death on the cross is known as Good Friday. 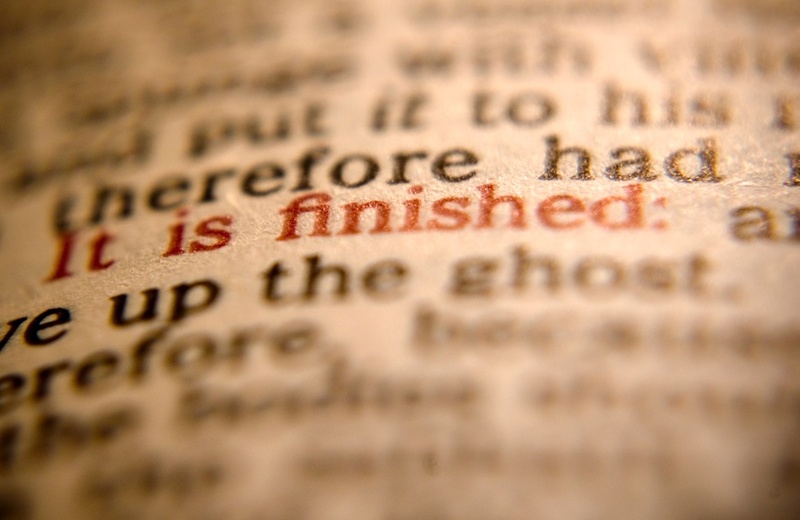 One school of thought is that Good Friday stems from the words “God’s Friday”, while others understand “good” in the sense of “observed as holy”. According to yet another interpretation, despite the horrors Jesus endured on that day, the event ultimately represents an act of love and constitutes one of the central and most cherished themes of Christianity: that Jesus died to pay the price for humankind’s sins. Many Orthodox Christians call the day Great Friday. The day is also known as Black Friday or Sorrowful Friday, as well as Long Friday. Good Friday is celebrated in memory of Christ’s Passion, crucifixion, and death. The most important Good Friday symbol is the crucifix, or cross, which represents the way in which Jesus died. Some crosses bear a figure of Christ. Other symbols of Good Friday include black cloth used to cover the cross, paintings and statues in churches and some homes to signify mourning. In addition, some people deliberately create a bare appearance in their homes and churches by removing all flowers and shiny objects.